We just redid our patio area with a new love seat, cushions and even a pergola. It has been nice to sit out there on summer evenings once the temps drop. 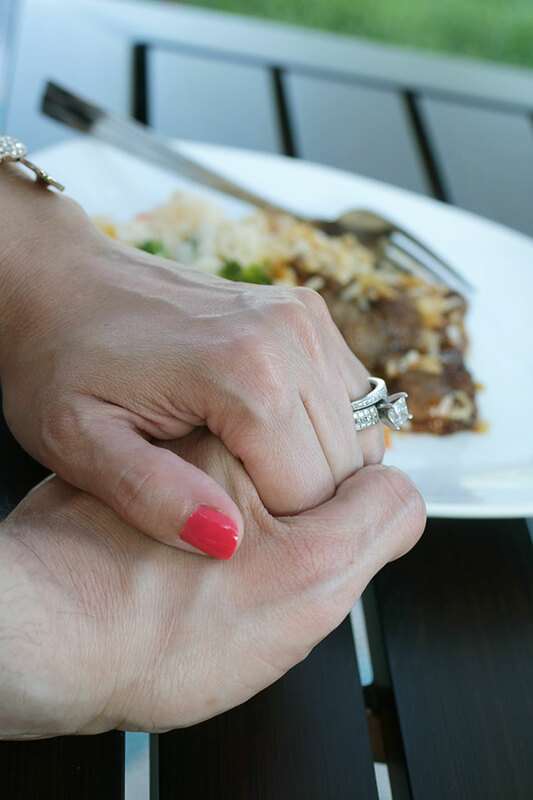 Sometimes it is hard to stop and sit down to relax and enjoy a nice romantic dinner with my husband. 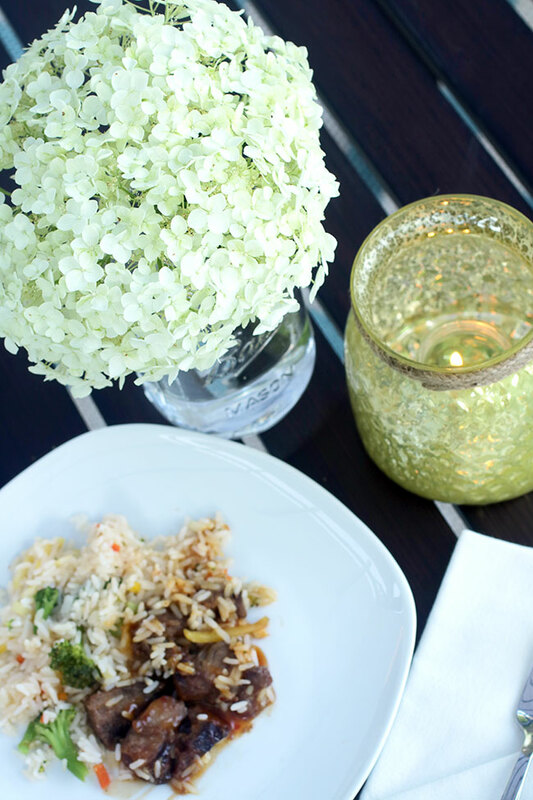 However, last week we enjoyed an at home dinner date night right in our back yard. I’ll share little tips with you on how you can recreate this romantic at home date night with LEAN CUISINE® MARKETPLACE meals. Stop by your local Walmart and hit the ‘Meals’ aisle in the Freezer section. 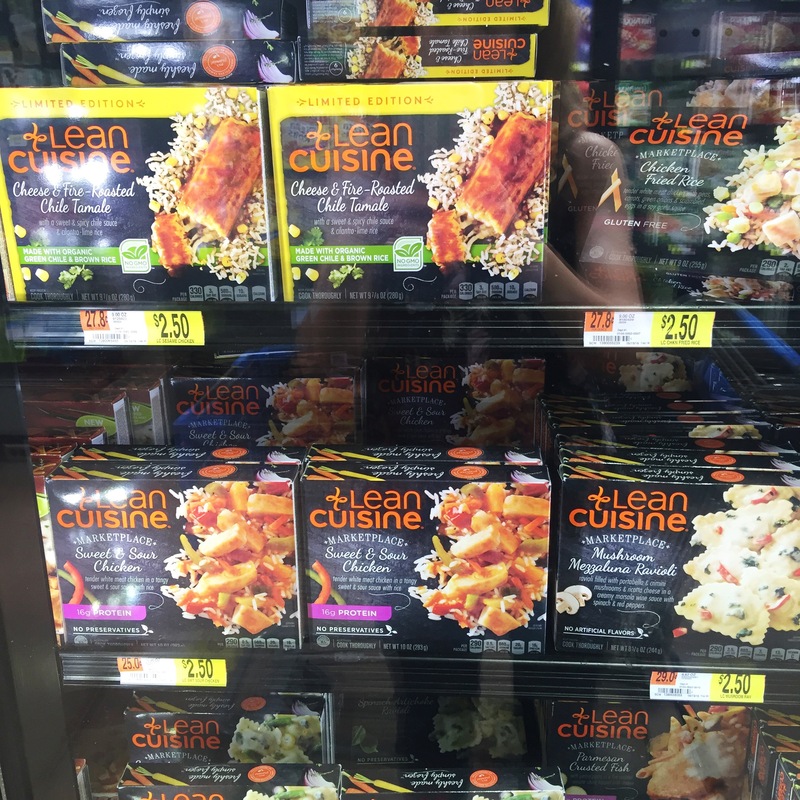 There you will find all of the new varieties of LEAN CUISINE® MARKETPLACE meals. Some of the boxes will have a yellow stripe on the top that say ‘Limited Edition’ to help mix up your menu! 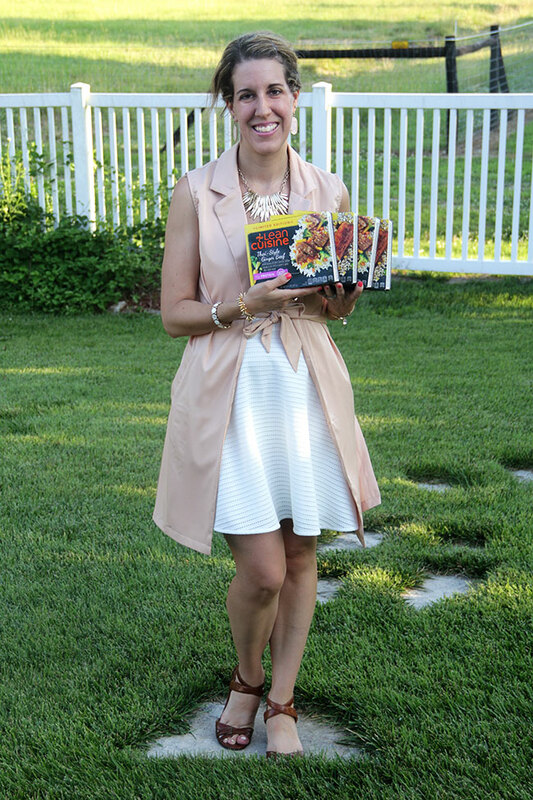 I selected four meals to take home with me, two of the LEAN CUISINE® MARKETPLACE Cheese & Fire-Roasted Chile Tamale meals and two of the LEAN CUISINE® MARKETPLACE Thai – Style Ginger Beef meals. I don’t have a lot of chances to dress up, so I thought it would be nice to dress up for our romantic date night at home. I decided on a white dress that I bought last summer from Express (they have the best dresses! 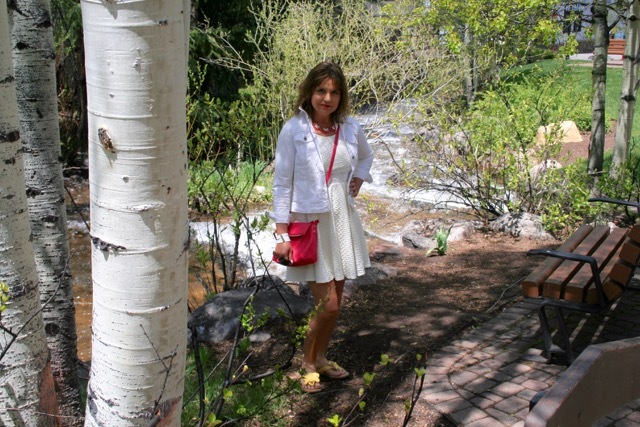 ), a blush vest, nice jewelry and some comfortable wedges. 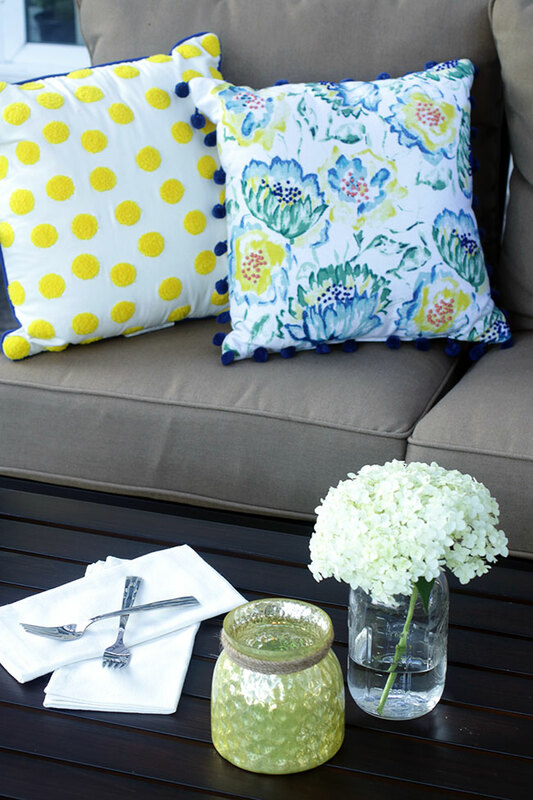 After I was dressed, I set out some pillows on our love seat, placed a fresh cutting from our limelight hydrangea in a mason jar and I set out a candle. I also placed two forks on top of linen napkins. 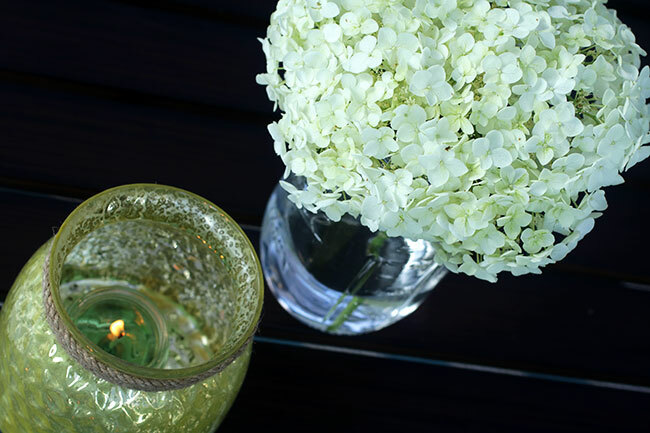 Candlelight and fresh blooms are always wonderful mood setters for a romantic evening. It was a busy day with the kids having a play date and lunch, so I was busy most of the day. I didn’t have time to slave over a meal all day long, nor did I have the energy for that after being in a noisy environment with kids all day. So, I took out the LEAN CUISINE® MARKETPLACE meals that I had purchased and put the LEAN CUISINE® MARKETPLACE Thai – Style Ginger Beef in the microwave and then while it was cooling I microwaved the LEAN CUISINE® MARKETPLACE Cheese & Fire-Roasted Chile Tamale meal. 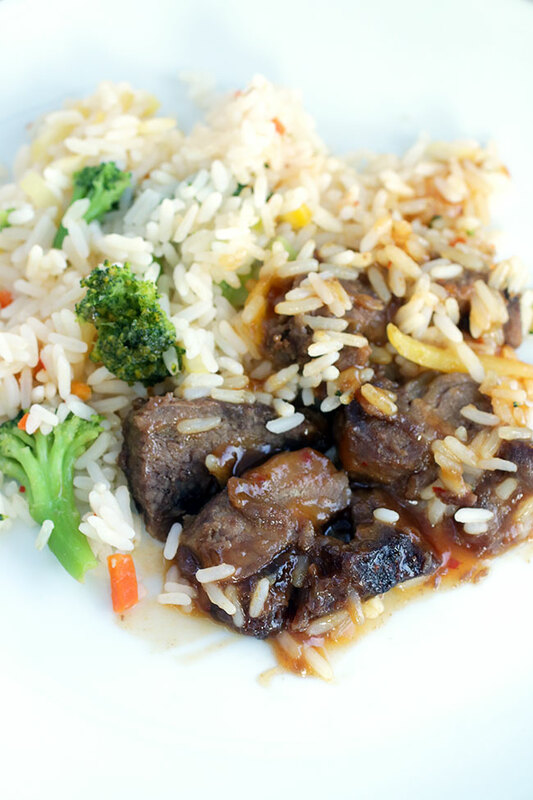 I decided to plate the LEAN CUISINE® MARKETPLACE Thai – Style Ginger Beef and you would have never guessed it was a microwave meal after I plated it! Look at these tender pieces of beef, the rich sauce and fresh vegetables in the rice. This is what the LEAN CUISINE® MARKETPLACE Cheese & Fire-Roasted Chile Tamale looked like after it was microwaved, I did not plate this dish in order to show you how good it looks straight out of the microwave. 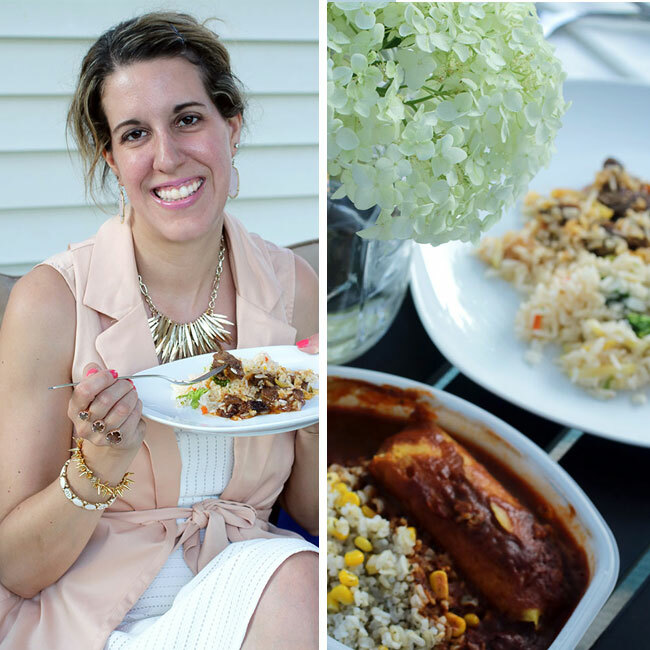 Once both meals were ready, I let my husband know that dinner was ready for us to eat outside. Here I am taking the first bite and let me tell you, it was delicious! We ate the two meals ‘tapas’ style by sharing plates with two forks! We got to catch up on each others days and had a nice relaxing evening. You could make the meal extra special by making up some fresh iced tea and a batch of boxed brownies. 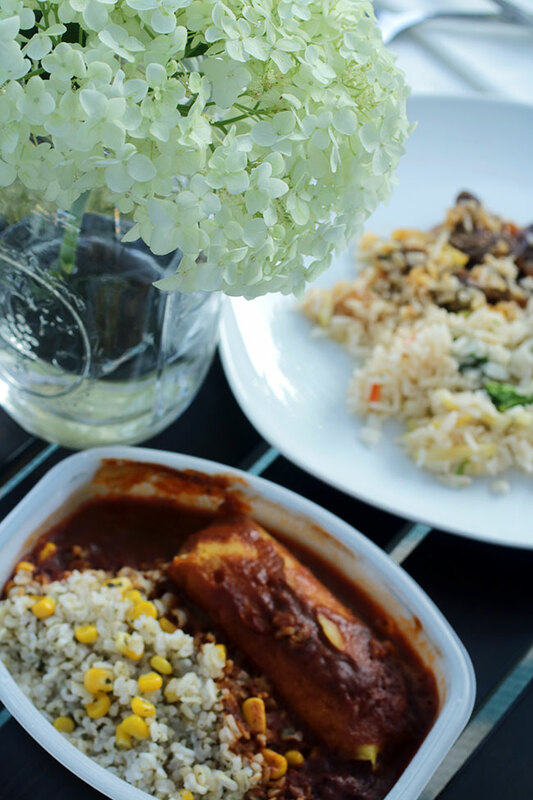 These meals include exciting flavors with organic ingredient options, gluten-free options, protein-packed options and no-GMOs. 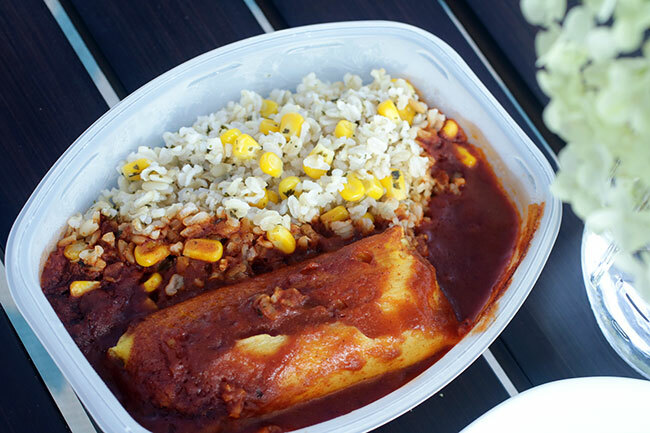 Which new LEAN CUISINE® MARKETPLACE meals would you like to try? 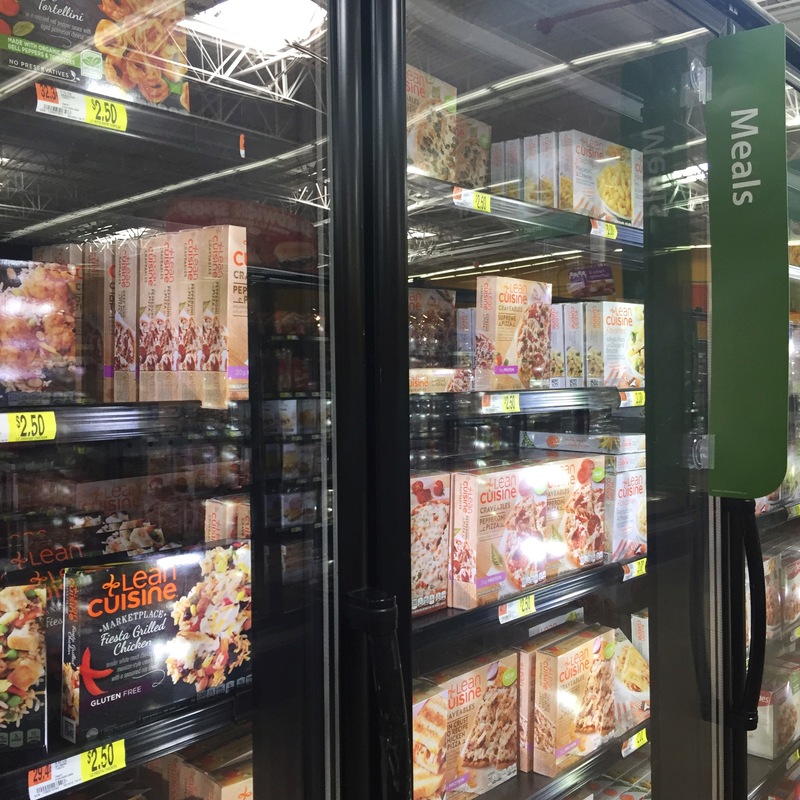 Be sure to check out your local Walmart to see all of the menu options! 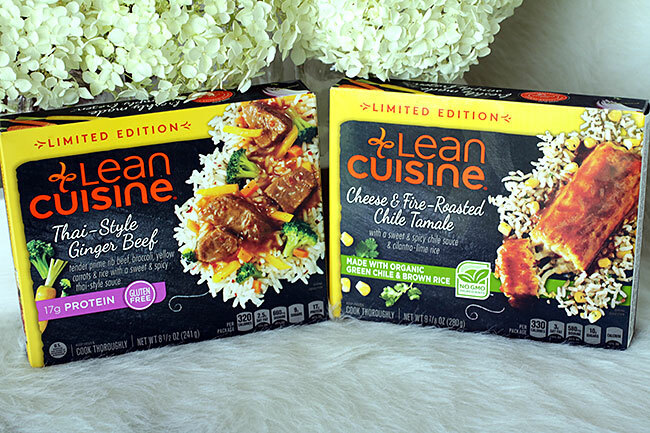 Learn more about LEAN CUISINE® MARKETPLACE on Pinterest, Facebook, Twitter or Instagram. 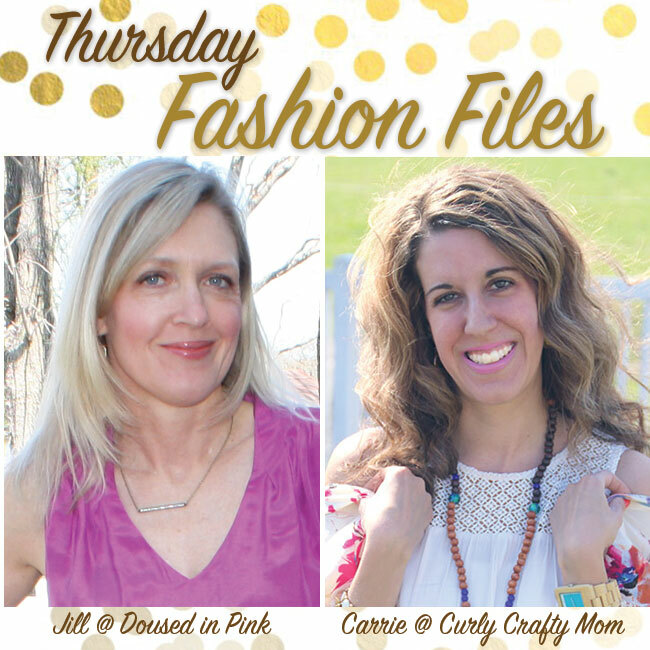 And, now it is time for… Thursday Fashion Files! Amy from Amy’s Creative Pursuits is our co-host this week. Be sure to stop by and visit her if you haven’t already! My pick from last week is Roxanne from Glass of Glam who is wearing this adorable palm jumpsuit.